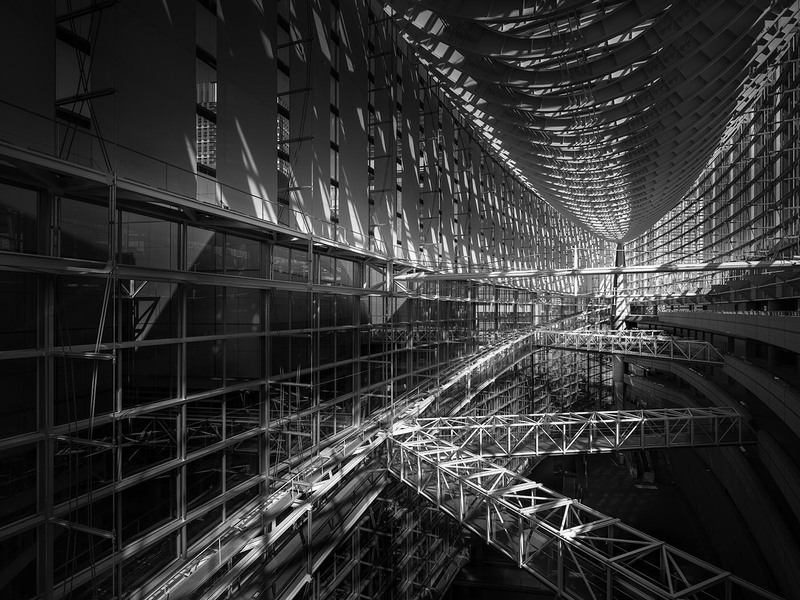 When I launched my Tokyo 2019 Workshop a couple of weeks ago, I promised you that I would come back soon with an article about the main fine art photography principles. Here I am, keeping my promise. This is a subject I have extensively discussed with my students over time in my workshops and mentorships, and it is a subject that always fascinates me. What are those principles that define fine art photography and that, if we are aware of, if we consider and follow, will bring us freedom of expression as fine art photographers? In this article, I will tell you which, in my opinion, are the most important of these fine art photography principles and how you can use them in your work. The goal is for you to create work that not only distinguishes itself and wins you awards, but that also makes you happy as artists and photographers, work that makes you happy as human beings. This is where I am always hoping to add something with my writings, my tutorials, my teaching activity, and my own work. First a few words for those who are following my website and my articles, and hopefully you are among them. If you aren’t yet you can subscribe to receive my articles and tutorials as soon as I publish them. For the past months, I have released articles and tutorials at a slower pace than the numbers of ideas I’ve had. I have many drafts of new articles waiting to be published and many new ideas to share with you, and I am going to do that more often from now on. Lately I’ve had an extremely busy time traveling for workshops or research trips to prepare new workshops, lectures, and other assignments and I didn’t manage to publish as many articles as I wanted to, but since during this time I gathered quite a lot of material in the buffer you can expect to see much more content and more often from me in the future. And the future starts now. 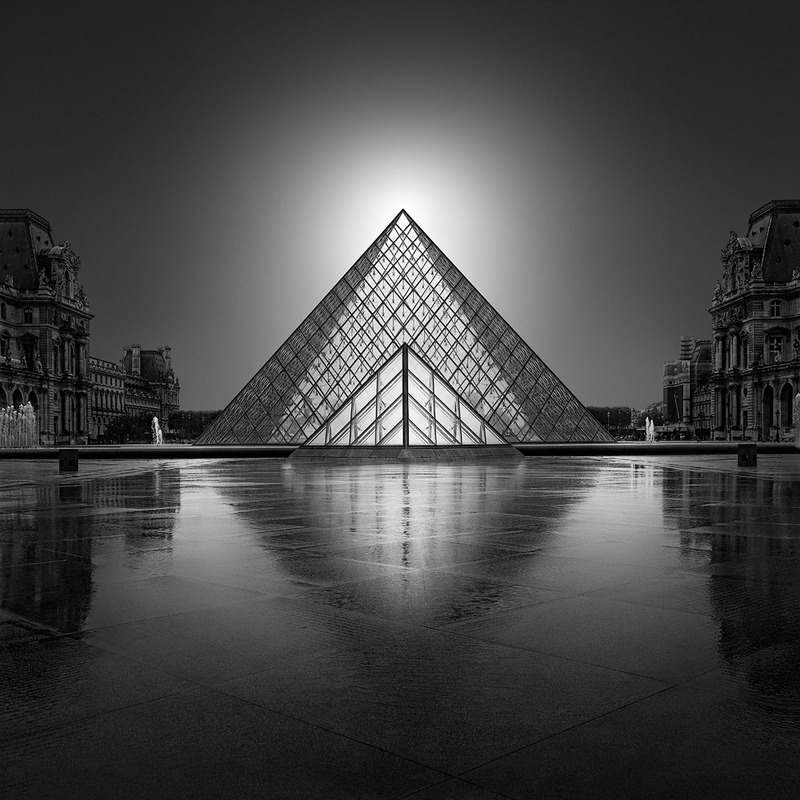 One of the reasons I wanted to structure these thoughts about fine art photography as an article is because I am preparing a new workshop concept for the Tokyo workshop that I will teach on May 24-27 and for which I only have 4 spots left. 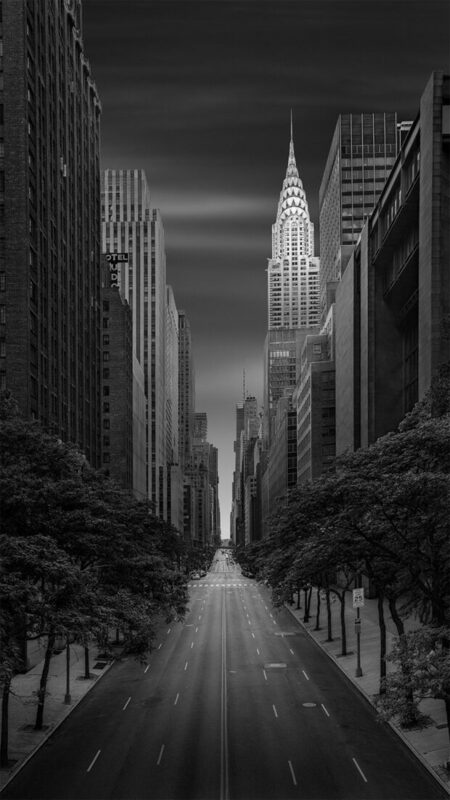 So if you want to dive into the secrets of black-and-white fine art photography, from the first sparkle of vision all the way to advanced processing techniques, you are more than welcome to sign up before the last spots are gone. Here is where you can find more details about the Tokyo (en)Visionography Workshop 2019 and where you can sign up, and I am looking very much forward to seeing you there and offering you a fantastic experience in an amazing city with one of the most important and captivating cultures in the world. Japan and Tokyo are superb and some of the best places on the Earth to travel if you want a new cultural experience, and not a random experience but one that will make a lasting impression on you and can transform your photography. It is also one of the safest places on Earth, where you are never afraid for your security or your gear as it may happen elsewhere. Add to this that the people are fantastic; they are kind, interesting and so beautiful, and you will understand why I fell in love with this city, this country, and the people and why I’m so passionate about this workshop. I am sure you are going to have the same fascinating experience, and you will be in awe if you haven’t been there yet, and if you have been there before, you know what I’m talking about. 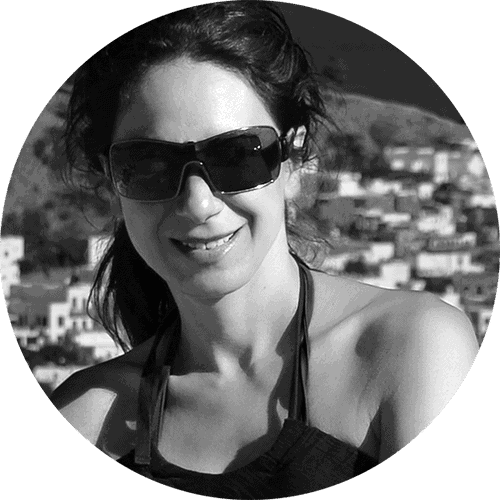 We will spend 4 full days, no wasted time, no lagging, no empty hours, half-days or such, studying black and white fine art photography, creativity, diving into the secrets of (en)Visionography, processing images and shooting fantastic locations, classic and modern. I can tell you that this workshop can change the way you see photography and it can bring you many awards, as it has always happened with students who have taken my workshops. If you’re curious what they say, here are some of their testimonials. While working on the material that I’m going to study with my students in Tokyo I was able to think more in depth about the things I’m going to share with you here and which I’m going to study even more thoroughly during the workshop with my students. So, let’s talk about them. One thing that is important to have in mind before talking about the rules and fine art photography principles is that they are only offering you guidance and a frame of work that can be useful to guide your creativity by giving you a starting point. Inspiration is sometimes chaotic, and it is many times difficult to put order into chaotic or random ideas coming to your mind, especially when strong emotions are involved as in the case of creating art. This is why all artists need to develop a set of skills that will help them turn an abstract idea or emotion into a concrete work of art, in our case a photograph. The rules and principles are not going to create your work instead of you; they are only going to keep you from missing the point or missing the idea when you need to find a suitable shape to convey it. The rules and fine art photography principles are not going to restrain your creativity either if you understand that they are not compulsory commands that you have to abide by, but they act as a guiding light that you can follow and that will help you emerge from the highly emotional process of creation, having in your hands a piece of work that makes sense and can be understood by others. In a way, we can say that your creativity, your imagination and your ideas are THE HEART of the creative process and the principles you use are THE MIND. You need both of them to create fine art photography and to create an object that can engage the viewer and convey powerful emotions. Light is obviously of utmost importance in photography. It is where photography starts and what makes it possible in the first place and you cannot ignore it. But the level of dependence on the light can be different in different genres of photography. For instance, light is paramount in landscape photography where much of the final outcome will come from the weather conditions and light conditions. The more interesting or extreme these conditions are, the more surprising and outstanding will be the result. In landscape photography many times the main subject is the light. So it will always weigh more in the final shape of the image. One of the characteristics of the light in landscape photography is that you cannot control it. Unless you are God himself, you’re not going to be able to change the given conditions. The only thing you can do as a mere human is to adapt to them or to choose when to photograph so you can do it when the conditions suit your vision. In other genres of photography though, like for instance in studio photography, portraiture, product photography or still life, you find yourself at the other extreme where light can be totally controlled so you can re-create precisely the conditions you need in your image. And then, somewhere in between, lies architecture photography, and even more so, abstract architecture photography where, while the light is essential and it can be beneficial to create a particular final result, it is not the main subject of the photograph, and it can be less than ideal without harming your initial capture. Being able to assess the given light conditions is the first step towards using the light creatively and efficiently and being able to make the best of any conditions you encounter. 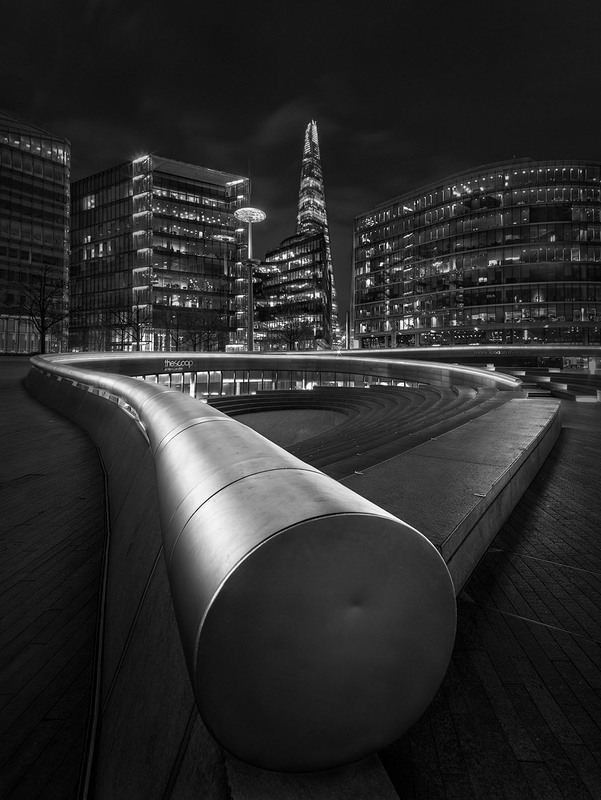 While light can have different qualities and some light conditions may be more suitable than others for the kind of image you shoot, there are cases, as in architecture photography that I mentioned previously, when even the less than ideal light can be harnessed and turned to your advantage. This can be done in other cases too, but it will be more complicated to do this in landscape photography which is almost entirely depending on light. The reason why I’m talking about the possibility to harness the light, is that, in digital photography, except for the light conditions you encounter in the field, which you cannot control, you also have the processing software that can often make up for what nature couldn’t give you when you captured the photograph. So when you think about light, what I would recommend is to think about it in a twofold manner. Think about the light you can capture naturally by using your camera and on the other hand, think about the light you can manipulate and re-create in post-processing and try to always make the best of this marriage between the existing light and the digitally created light. I call these two kinds of lights the “VISIBLE LIGHT” which is the light you capture in your camera and the “INVISIBLE LIGHT” which is the light in latent form, the light you can create in post-processing by using your software. This is one of the principles of (en)Visionography and understanding this twofold character of light in digital photography is what can help you make the best of both worlds, and as a result be able to express yourself much more accurately and efficiently. Keep in mind that we can mold light and manipulate it in a thousand ways if we use our editing tools wisely. What I believe and practice is that you have to free yourself from everything reality offers you and not take anything for granted, not even light. I’ve managed to create images that won awards while I shot them in a terrible light and I’ve also shot in perfect light and couldn’t get the results I hoped for. So, the idea is that everything is in your mind. This is where everything starts. Reality is only a tool you use to attain your artistic goal, to give a shape to your vision so it can be offered to others is something they can understand and relate to. You are free to do anything in your frame: play with volumes, color, tones, light, truly everything. Once you understand this and adopt it main principle, you will feel like you’ve been born again as a complete artist. You will realize that you are the master of your art and you are in charge of everything you do in your photography. In my world, freedom of expression is what defines art, and you cannot talk about creativity and art without talking about freedom. This is why in my theory of (en)Visionography I introduced the idea of the “total artistic freedom” as laying at the basis of any act of creation. Only when you set your mind and soul free you can create a space in which you can exist as a total artist having total artistic freedom. That is what I call ARTISTIC HAPPINESS. Composition, composition and again composition! This is my mantra! I think nothing valuable can be created in art if you don’t study composition intensively until it becomes second nature. Composition is something that can be learned, that can be cultivated, that has to do with visually educating the eye and mind. There are so many things one can say about composition, and you can find an extensive chapter in my book From Basics to Fine Art that treats composition in black and white photography. Some people have a natural ease with composition, and they will pick up more easily the signals from the outer world that tells them there is a good composition out there that they can capture. But if those artists don’t educate themselves and don’t cultivate that gift they have, they will not be able to control the results and create every time the best work they can. When you don’t cultivate a talent you have, it is like expecting to get every time a jackpot only because you had good cards once. But that doesn’t happen. I’ve seen this happening many times looking at photographs around me that are created by artists who have a talent for composition but who at times cannot meet their potential because they work randomly. From my experience in my architecture and artistic background, in drawing and photography, and taking into consideration all the information and knowledge I have acquired over almost 30 years working in art-related fields, plus the rich experience of working with photography students, I can tell you that the best compositions come from training your eye, knowing the rules and becoming confident enough to know when to apply and when not to apply a rule, when to break the known rules and create your own. You cannot be a total artist if you ignore composition because composition is the science of a harmonious communication with the viewer. And when I say harmonious, I don’t mean that you have always to convey positive messages. The messages you convey can be disturbing but you have to have a harmonious communication with the viewer so they can understand those messages, either they are positive or negative. It is about creating a space between you and the ones who are looking at your art where you both speak the same language. And since you cannot expect the viewer to come to your rescue, you are going to be the one who has to know the best way to communicate with him or her. 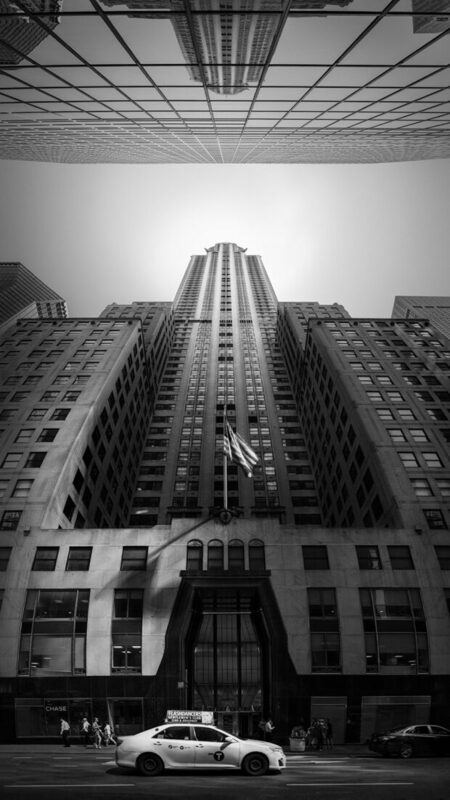 Particularly in black and white photography composition is paramount. In black and white photography composition is even more critical than in color photography because you don’t have the color to rely on to communicate your idea. So composition and light are your main tools, and you need to use them to your advantage. But to be able to do that, you need first to understand both composition and light and how they can work for you. 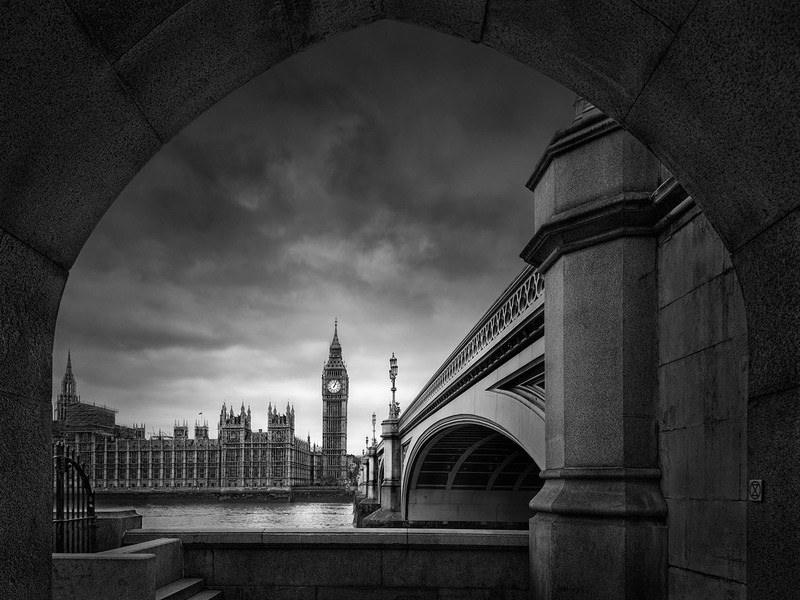 This is why in black and white photography you need to be even more creative with your composition because it is one of the most eloquent tools you can use to communicate your vision. And in order to be creative with composition, you need to understand it well, and you need to know how people interact with different kinds of composition and how these compositions can affect their understanding of the work of art. This is more or less what vision means. Express yourself in such a way that you stay true to yourself and at the same time you communicate to others what you feel and think without needing to explain it. It may seem complicated in the beginning, but you shouldn’t worry, it will become easier and easier as you discover more and more aspects of your artistic personality. One of the approaches that help tremendously here is focusing on projects and working in series of photographs, because when you create a project or a series of photographs you can tell a story, you can follow and develop your idea in more than one images, and this helps you explore more deeply and communicate more thoroughly all your feelings about the subject. The subjects you will choose to focus on, the way you capture them, the way you compose your images, the way you work with light, all this tells something about yourself, and it exhibits your artistic personality. Not only the viewer can understand you better then, but you can also learn yourself many things about who you are as an artist and not only, but who you are as a person. Art is a fantastic tool for self-discovery and self-creation. It can help us build who we are and improve our existence because it helps us know ourselves better and understand how we function as human beings and how we react in front of this world. This is one of the essential fine art photography principles and one of the first things you have to think about when creating fine art photography. Fine art is about the finest quality one can create, and this cannot come from delivering packs of five images per day, so to speak. I may need one month to finish an image, and this is not because I am lazy, uninspired or I am slow in processing. But because I respect my images and I respect my audience, and I want to give them the very best of who I am as an artist. How could I pretend that an image is a piece of myself if I haven’t spent enough time with that image to infuse myself as an artist into that image, to transmit to that image the ideas I had and the emotions I felt, if the only thing I would do was to capture an image and apply some processing preset before delivering it to the world under the name of fine art photography. That would be an act of disrespect for anybody who does me the honor to interact with my art and to allow me to communicate with them. Art needs dedication, it requires a personal approach, and it needs for the artist to put a piece of his soul and mind in every work they create. Leonardo da Vinci needed four years to paint Mona Lisa, and this is why this painting moves us to the core of our beings. How could I have the arrogance to think that, if I create an image without giving it enough time to acquire a life of its own, I could call that art? This is why I am actively opposing this tendency that we see more and more around us because of the pressure of the instant satisfaction that the Internet promotes, to deliver as many images as possible even if they are low-quality. The Instagram culture is slowly eroding the essence of art by putting the pressure on artists to produce more and more to keep their followers count rising as if that was proof of quality or success. It is disturbing how many of the images that are created only for the Instagram are terrible quality if you look at them closely or if you try to print them larger than as an 8 x 10 print. This is why I tell all my students that, unless you have no photograph in your portfolio and you want to create an initial portfolio of around 20 photographs, you may need to do that quickly to have something to start with, but after that you have absolutely no reason not to give enough time to an image to be created, and just skimp over to get the work done quickly just so you can publish more photos. In fine art, less is more and very often more is less. When I create a photograph, from the first moments when I start thinking about how I’m going to approach it until I add the final touches in post-processing I may go through a complex process of research and experiment, through a lot of emotional experiences that will all be imprinted in that image. I will go back and forth exploring different options while I create my vision and I find the best way that I can communicate it to others. Creating fine art photography is about finding a solution to how to transform an idea and an emotion into a concrete object that is your photograph and how that photograph will be able to communicate the idea and the emotion you infused into it yourself. You need to find a shape for your thoughts and feelings, and you need to give that process as much time as it needs to be finished, even if this means not being as prolific as you were in the past or as you wish you were. Quality will always beat quantity, and the reward of pursuing quality and excellence will be that you will be able to identify with your art and that others will do that too. And this is the goal of art – emotional communication between the creator and the viewer. Learning the ins and outs of what a good photograph is will only make you a good citric. To be a complete artist you need to master the practical tools too, you need to master post-processing as well. You need to make your software your friend and make the decision that you need to learn to use it. There is no excuse even if you consider yourself a film photographer or if you have started with film in the old days (like I did myself and many others). If you want to be a digital photographer you need to know your software. Period. If you don’t, you might just as well continue working in the analog darkroom because I can tell you no amount of ready-made solutions or presets are going to create a fine art photograph in your place. You don’t need to know any style under the sun; you don’t need to know Photoshop by heart, you only need to know how to create the art you want to create. You need to know only one style, your style, and you need to make that perfect. And when I talk about one style I don’t mean one manner of creating photography, as in only one processing style, but I mean the things you need to be able to express yourself. That is your style. Art is about the artist and not necessarily about the subject or anything that happens related to the subject. Even if any work of art, photography included, has to have a subject, this subject may be only a pretext for the artist to express himself or herself. The subject is, of course, important in descriptive photography, documentary photography or any genre of photography that exists to present the subject, but when you talk about fine art photography, you talk about the artist and his interpretation of the world. When you adopt this approach, you understand that the choice of subject can vary depending on the idea that needs to be portrayed and that most of the times the subject is only a symbol or a personification of an idea and emotion, required so the artist can create the story. The choice of subject will differ depending on the idea the artist needs to convey, and it depends on a large degree on the symbols associated with that subject. So the choice of subject will have two aspects, one will be related to the personal vision of the artist, and the other will be related to the universal symbols that are related to that subject. The combination of these two aspects in choosing the subject will give birth to the artistic voice. Of course, an artistic voice is not only related to the choice of subject but also to many other characteristics of the work of an artist. However, the subject will be an important part of his artistic voice, and many artists identify themselves with a subject so much that they will use that kind of subject in their work during a long period, sometimes during their entire artistic life. One excellent example of an artist who has used a certain subject intensively in his photography because it was helping him express himself the best was Edward Weston http://edward-weston.com/ with his series of black and white fine art peppers that are well known to everyone who studies black and white fine art photography. 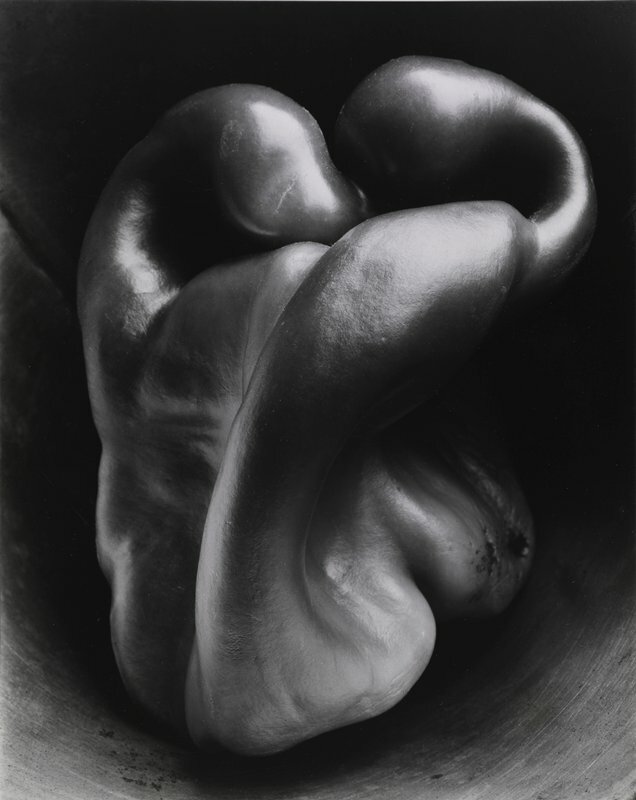 Edward Weston has photographed peppers in a series of more than photographs among which Pepper No. 30 is the most well-known image in the series. You can see below Pepper No. 30 and some other pepper images in the series, as well as some more Edward Weston photographs in a Pinterest gallery I have created. 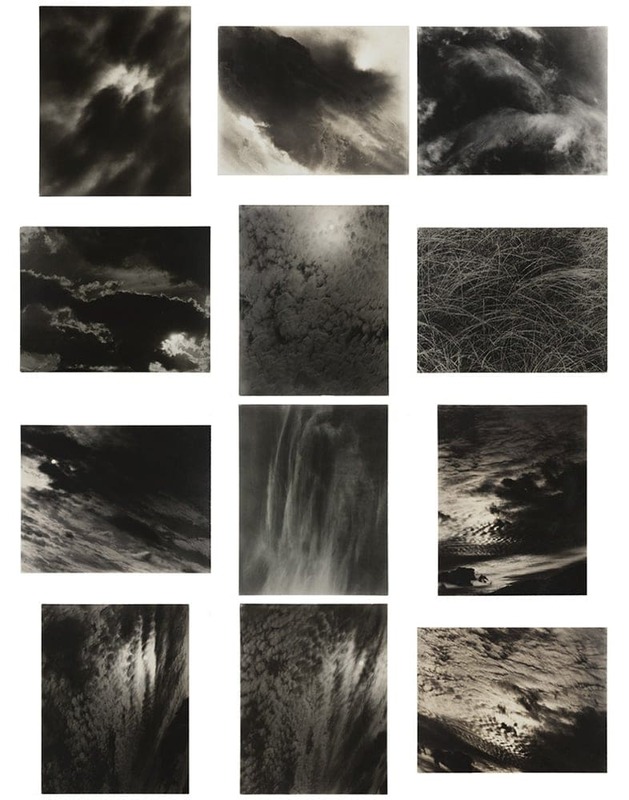 Another photographer who has dedicated himself to a specific subject was Alfred Stieglitz https://www.theartstory.org/artist-stieglitz-alfred.htm who has created a series of more than 350 abstract photographs of clouds during a period of 8 years. http://media.artic.edu/stieglitz/equivalents/ This series of photographs is considered the first series of abstract photographs in the history of photography and they were meant to exemplify his theory of the “Equivalents”. Here is what Stieglitz himself says about this series and his words are more than eloquent. If you want to read more about this, you can read my post Why the Creative Process in Photography Needs Time and you can also see some of the photographs in this series below. Triggering emotion is the highest purpose of art, and the emotion is very closely related with meaning. Every photograph has a meaning for the artist and it will also have a meaning for the viewer who interacts with it. If the image is explicit enough the meaning can be the same for both the artist and the viewer. This happens when the subject and the representation are closer to reality, and the photograph is easier to be identified as a specific place, object, or as an expression of a concrete situation. When the photograph distances itself from reality and it enters in the realm of imagination and of abstract interpretation, either by abstracting the scene itself and capturing the subject in an abstract way, or by using the light in an abstract way or in a very different way than what a subject is known for, the initial meaning the photograph has for the artist may not be the same as the meaning the viewer finds in the image. However, it is possible that even when the meaning for the artist and for the viewer are different, the emotion that is conveyed through the photograph to be the same for both the artist and the viewer. This is happening because we may react by feeling the same emotion to different situations or stimuli and often we don’t need to know the exact reason an artists created a piece of work or the exact meaning it has for him or her, but it is enough to sense the emotion the artist has invested in the work, even if we identify this emotion with other circumstances or other stimuli. This is a type of communication that happens between the artist and the audience when they are on the same wavelength, and what brings them on this common wavelength is the photograph itself. This is why using symbols when creating a photograph is an excellent way of making sure that you will be able to communicate with the viewers that are aware of those symbols. However, we may be reacting to symbols without even realizing that we do, and this is happening especially with symbols that have become second nature for us, and that we identify with for a long time, so seeing them as symbols doesn’t surprise us anymore. One example is the symbol of light as well and the symbol of darkness. They are well defined in the mind of most people, and they are some of the most powerful tools for a black and white fine art photographer. Without overthinking you can identify light with openness, positivity, and peace while darkness will suggest mystery, tension, and drama. Both light and darkness can convey very intense emotions and when you combine that with the choice of subject and the choice of composition you can create a complex story full of meaning and expressing intense emotions. What I mean here is that, even if creating emotion in a photograph may seem mysterious and hard to attain a goal, there are many tools we have at our disposal that can help us in creating a certain atmosphere, a certain feeling and emotion in a photograph. Being aware of these tools and fine art photography principles will make the life of the fine art photographer much easier. All the tools I have mentioned here combined with your personality as an artist and with your goals as for your photography will create your personal fine art language that will be a tool you can use in communicating with the audience so they can understand your art. This language is where you’re going to feel the most comfortable expressing yourself and what is going to give you the answers when you don’t know which way to go. When you create a personal fine art language you know that there are certain forms of expression that suit your psyche and its manifestation through your photography. They can be related to the light you use, the types of composition, the level of abstraction, the symbols, the subjects and the manner of processing. Finding this personal language is the best way to distinguish your artistic voice from other artistic voices around you, and it is what will help you be authentic and not be tempted to repeat what others did. You will need some time to create this personal language and a personal style but if you want your photography to express who you are and to make you happy, this is the way to go. When you do create a certain language, it will help you to express yourself more eloquently and in a more satisfactory way. It is the same as with a verbal language. The more you write, the better you will be able to express yourself in words, and this applies to images also. The end result is different, but the essence of how to express yourself is the same. These are for me the most important fine art photography principles that one needs to keep in mind and reflect upon. If you respect these principles every time you create an image, from the beginning to the end, there will be nothing standing in the way of your imagination and creativity, and you will be able to create your (en)Visionography. Last but not least, I want to recommend you a book about artists and making art that I found very interesting and that deals with many of the things an artist encounters in their work, from finding inspiration to being able to follow a work discipline that leads to completing projects and creating the actual piece of work. The book is called Art and Fear by David Bayles and it demystifies many of them meets around creating art that the society makes us believe when we first come in contact with the idea of art and artists. Closing here is a code from the book that I absolutely agree with. 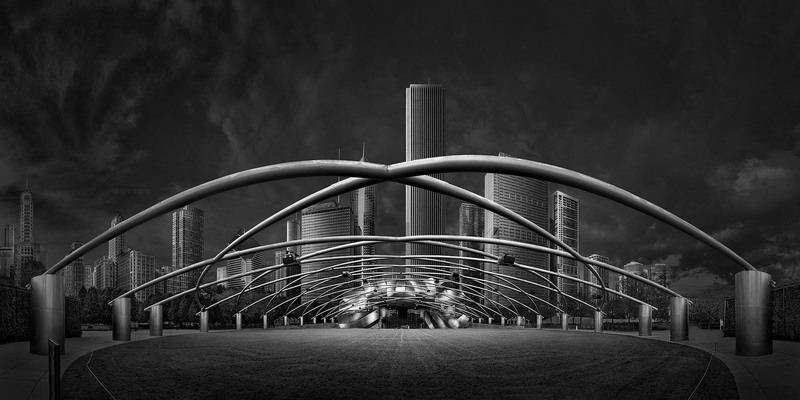 Posted in Tutorials Fine Art Black and White Photography. RSS 2.0 feed. You speak a lot of truths and in an eloquent way, thank you. Thank you, Paul. I’m glad you enjoyed the article. Enjoyed this greatly, provided more insight compare to other articles. This is a keeper and i’ll be rereading this frequently. Thank you William! Much appreciated your feedback. I’m glad you liked the article.